Hey everyone ! 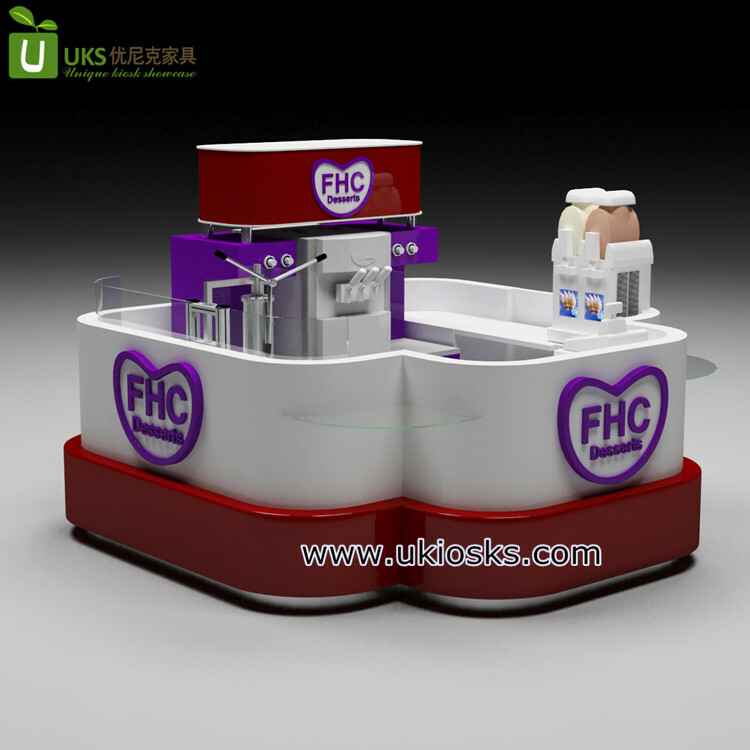 warm welcome visit our page , today i wanna introduce a popular mall food gelato kiosk for your meet . Color : white , red and purple . Workcounter : white man made stone . Toe kick : stainless steel . Service : for selling ice cream , soft drinks etc . Accessories: single sink , light box , acrylic logo . When you see this kiosk first time , You will be attracted to the shape of this cabinet. it looks like a flower , using white , red and purple color . 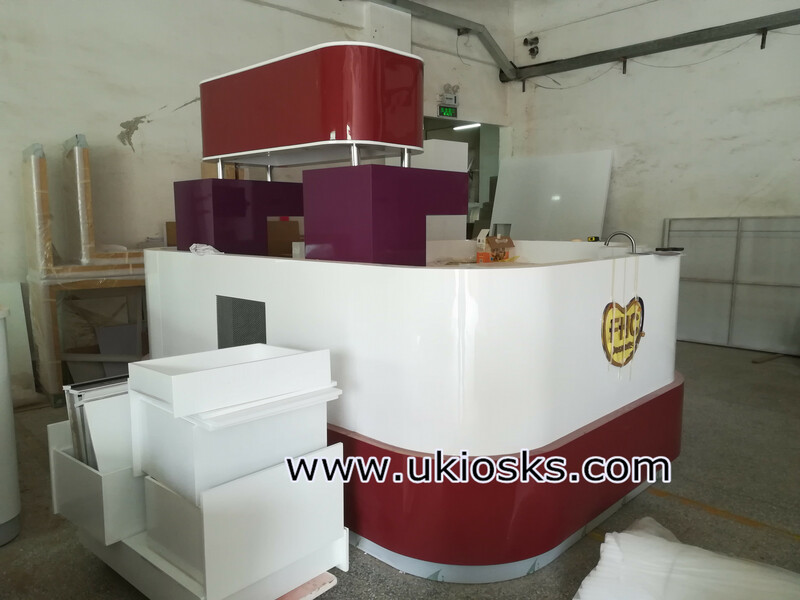 basic material is MDF , surface is glossy baking painting finished , white man made stone worktop, stainless steel skirting , whole kiosk inside with wooden cabinet and lock . As you see whole kiosk surface looks . mainly color is white , with some red linellae for intersperse , looks very nice and beauty . 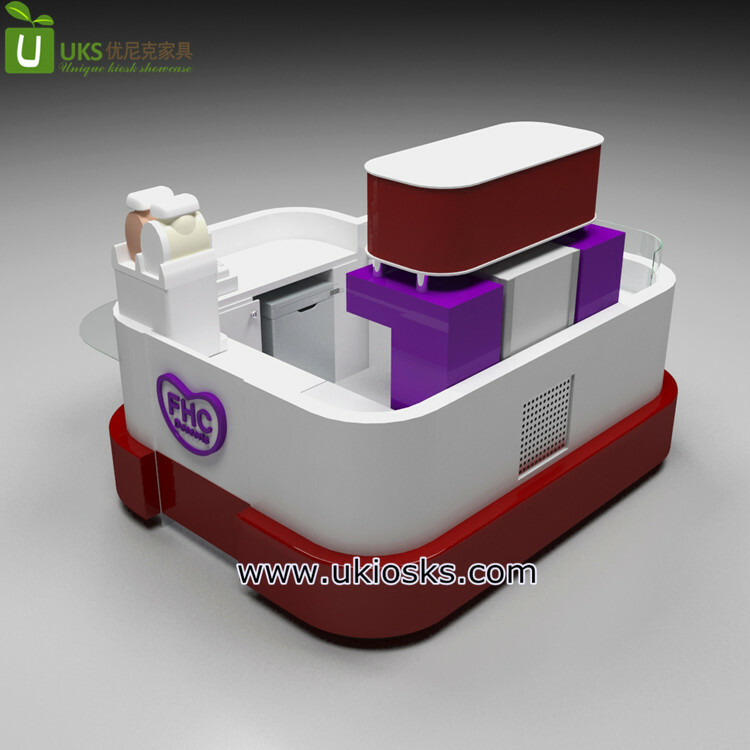 The kiosk inside layout is very simple . 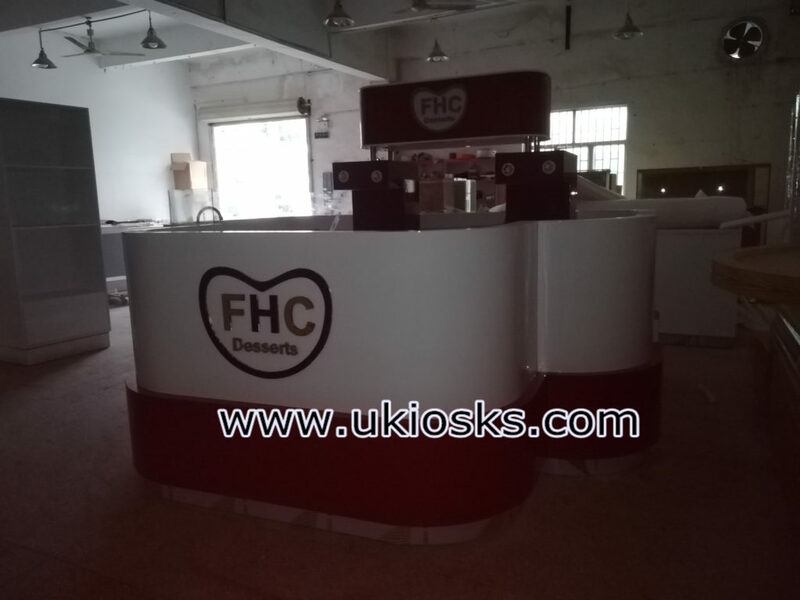 the front part with a small cashiner counter , left sides with a single sink and a Fried dough sticks machine , the back sides with a big ice cream machine , right sides with a juice machine .